OLM to PST converter Free App For Mac — is the best gift to Mac users, who need to do email migration from Outlook Mac 2011 / Outlook Mac 2016 to Microsoft Outlook for Windows. This is an App developed while keeping in mind the need of Novice and Professional users looking to convert .OLM to .PST files. 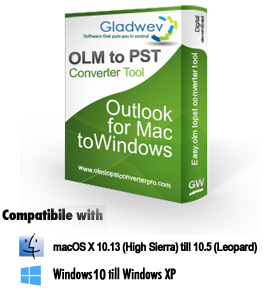 This is the only .OLM to PST Conversion Tool which converts directly on Mac. We test the app thoroughly and it has been regularly updated to iron out any reported issues. That’s why it’s so effective and easy to use. It will migrate olm to pst or convert Outlook Mac .olm files to .pst in a very short duration with just a couple of clicks. Many Novice user's ask, where can I find the PST files for Outlook Mac? The answer to that question is Outlook Mac does not use any PST files, instead its data (including account info, calendars, contacts, and emails) is stored in a database that is located at below location: Documents > Microsoft User Data > Office 2011 Identities. However, it does let you export the data for archiving purposes to a .olm archive file. This file can then be used for reasons other than archiving or backing up, such as transferring olm to pst for email transfer. 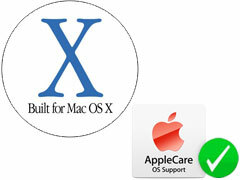 If you plan to make a switch to PC from Mac for any reason, be it due to a business requirement or any personal reason. Will Outlook for Windows recognize and let you import the emails from .olm file archive. Then you are in for a surprise! Outlook for Windows only reads mail data from a PST file. The only option remain is to convert Mac Outlook .Olm to Pst. So, if these years of emails on Mac are the reason which is stopping you from making the switch? We faced exactly the same situation few years back, there is no other workaround and that is the reason we came up with this solution and realized this might help others who share this situation with us. All we wanted was to developed the best Olm to Pst converter, and now With years of feedback and regular updates, we are now at a stage where we can say the product works flawlessly and the most user-friendly and reliable tool in the market. 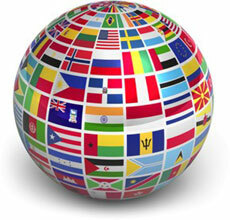 It truly is the best Olm to Pst Converter for exporting Outlook 2011 to Pst for Windows. With years of feedback and regular updates, we are now at a stage where we can say the product works flawlessly and the most user-friendly and reliable .OLM to .PST Converter in the market! process is completely automated and you are free to import mails from Outlook Mail to Outlook Windows within just a short time span. Why using Mac .OLM to .PST converter Pro, is a wise decision to export PST from Outlook Mac? Only OLM File Converter, which runs directly on your Mac and convert Mac olm to pst. Many of our clients ask us, what's a better way to do OLM file Conversion. Would it be better to move the olm file onto the PC and then process conversion? The best approach to follow would be to convert olm file on your Mac to avoid any situation with corruption at a later stage. Our's is the only OLM to Pst Converter tool, which lets you accomplish this task directly on your Mac. It's, as simple as to launch Olm to PST Conversion free Mac App > Click on Next > Choose the folders > Click next and you have your converted PST files ready for import in Outlook for PC. We even went a step ahead and highly recommend using Mac OLM TO PST Converter ULTIMATE Edition as it converts directly from Outlook Mac database skipping the step to export olm files. Thereby further, bringing down any possibility of missing any data while exporting olm from Outlook Mac. This Olm to Pst Converter tool, OLM File Converter converts entire Outlook Mac mail data (including contacts, calendar items, and email addresses). The hierarchical structure of the original Outlook Mac Mailbox folders is preserved.Not only that it also, preserves all your message attachments. Moreover, OLM file converter gives a special treatment to all nested messages during Olm to Pst convert. The biggest issue while converting Olm to Pst is loss of non-English characters. If you interact with an international audience and frequently receive emails with double byte characters, for eg: Mails with Chinese, Japanese, Arabic Characters. We have ensured support for up to mark conversion and perfect handling of this mail data. Our OLM file Converter App preserves all non-English content including Chinese, Japanese and other double-byte characters. Converts all events from OLM calendar to Outlook calendar folder. 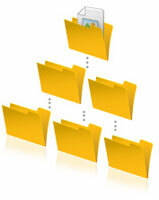 It can also merge several address book folders into one single folder. The OLM File Converter software also preserves Unicode content. 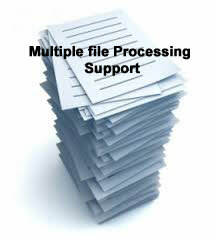 It process's about 60 address book fields to prevent even minor data loss. In short, the tool will keep all text inside all emails exactly same during the process of converting Mac Outlook Olm to Pst. Converts all your addresses from the OLM file to Outlook Windows. It can also merge several address book folders into one single «contacts» folder.Very few apps allow the full and proper conversion of contacts while exporting Outlook 2011 to Pst. Support for exporting olm to pst in batch. If you have multiple sets of archived olm files from, or you are part of a Support Team, moving forward with a large-scale Outlook Mac migration project. And need to complete the migration tasks in a limited time window. Our OLM file Converter Tool can easily handle multiple olm file archives. Not only that, it will also support conversion of .olm files located in different folders or Hard drive locations. You also have a choice to either convert the Outlook olm files to pst one by one or merge multiple olm files to single pst. These feature has helped many users with multiple small sized olm files to merge them into a single pst file. It's a blessing for IT support technicians assigned with mass migration tasks of moving thousands of users from Outlook Olm to Pst for Windows in one go. Our Mac OLM to PST Converter converter is very easy to use: it works fast, effective and without any hitches. A perfect solution for people who value their time! Next page: How to convert olm to pst, Convert Outlook Mac 2011 to Outlook Windows pst on Windows PC?